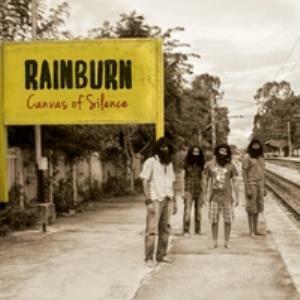 RAINBURN was founded in the fall of 2011 in Bangalore, India, by classically-trained pianist Avik CHAKRAVARTY and singer/guitar player Vats IYENGAR adding drummer Praveen KUMAR (BLOOD & IRON) and bassist Jayaram KASI soon after. RAINBURN's brand of technical-yet-accessible music allied to impassioned covers of bands like RUSH, ALICE IN CHAINS and PORCUPINE TREE found immediate takers in the Bangalore music scene, leading to gigs throughout the southern Indian circuit. In the middle of 2012, KASI left and after a protracted search, was replaced by Shishir GUPTA on the bass; meanwhile, the band recorded and released two demo songs - 'End of Sleep' and 'Listen Through the Noise'. After searching for new ideas and fresh inspiration for much of 2013 and continuing to play shows in and around Bangalore with new keyboard player Ashwin ETHIRAJ, the band finally found their calling in the juxtaposition of their progressive roots with a strong pop sensibility and melodies and motifs that subtly reference Indian music. This led not only to a change in sound but also to a significant change in instrumentation - a second guitarist in the form of Abhishek PRAKASH (ex-GROOVE CHUTNEY) was added to the lineup to replace ETHIRAJ. After opening for the mighty AVIAL, to an audience of several thousand people at Eurotech Maritime Academy, Cochin, the band hit the studio to record their debut EP. PRAKASH left not long after commencement of recording and after a brief search, was replaced by shredmeister Toshimoa JAMIR. In early November 2014, the band released its debut EP ''Canvas of Silence'' to rapturous acclaim from fans as well as from publications such as Prog Magazine and sites such as Prog Metal Zone, Prog Sphere and Music Aloud. They were also featured on Radio One 94.3 FM, Bangalore. Their sound will also appeal to fans of traditional melodic progressive metal, such as DREAM THEATER and FATES WARNING. The current music industry is based upon quickly releasing singles (no longer than four minutes in length of course) that follow whatever topic is trendy at the time. Often times very little thought is put into this music and its purpose is to instantly satisfy the needs of the masses with catchy beats and sing-along choruses. While this is not entirely bad, it provides very little room for experimentation and progress in the music scene. Also, with songs rarely lasting for the aforementioned four minutes, it is difficult for songs to develop and really capture the listener's attention. Bangalore-based band Rainburn aim to change things up a bit by providing a big album with plenty of room to lose yourself in. With 10 songs lasting for almost 50 minutes, "Insignify" is far from accessible. However, this album was not recorded for the purpose of being accessible. It was crafted for those who want to make listening to music an experience. So the question is did they accomplish this? "Insignify" is wide open and vehement in its will for exploration, clearly plotted but sounding off the cuff and based heavily on the organically-presented chemistry between drummer Praveen Kumar, guitarist / singer Vats Iyengar, and bassist / singer Ravi Nair that has only developed further since the band's debut EP, 2014's "Canvas of Silence". The new album oscillates between laid back jams and powerful rockers, creating that lovely rich atmosphere. It's clear the band has been working on dynamics. Starting real strong with 'Merchant of Dreams', this cut shares all the strengths into firm doses. Its groovy bass line, enhanced by the hypnotic percussion paves the way for several guitar solos. There are multiple waves where the band builds and then falls into peaceful, soothing moments. As we dive further into The Island, we find a couple of lighter tracks. On 'Someone New' the spotlight goes to the drum/vocals interplay, as they playfully drive into proggy territories. The guitar and bass embellish with several layers of sustained leads and chords, but they tease by building tension, at times keeping it for minutes before explode into a powerful jam. 'Purpose' continues the flow in the same tempo as its predecessor but it's all vocals, while the final 'School of Atlantis' feels considerably subdued when compared to the rest of the record. Like a recap, it fervidly peaks one last time before gently fades away into thin air. This is a really nice, 'atmospheric' ending to such a strong album. Rainburn has crafted a very solid album that can truly take you on a musical trip. 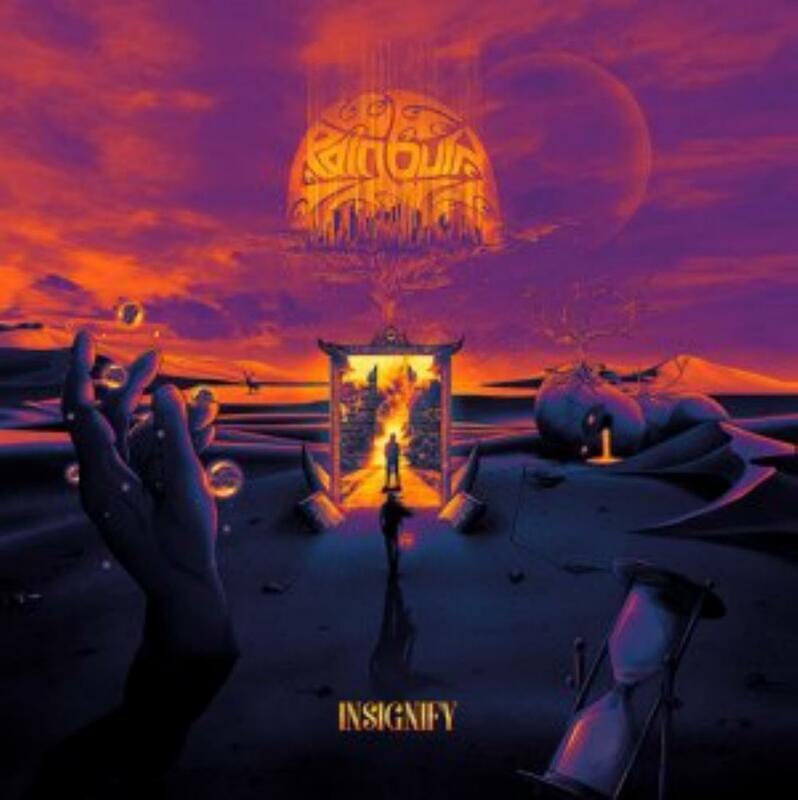 Overall, Insignify proves to be a very worthwhile journey and any fan of progressive or psychedelic rock music should check it out. This little gem comforted me as I prepared for surgery in 2014. Like the band's name, this music abounds in contrasts. The tug of war between aggressive metal and soothing folk/pop sounds creates a tidal rhythm that rocks me into a relaxed state. Despite the subject matter - loss - I found the music to be uplifting and hopeful. Although I continue to listen to new music, I still return to this time and again. "Refuge" contains some evocative lyrics and interesting wordplay: "Washed up, eroded souls are/in solitude reborn/sing to me of rain/for tomorrow shall be/washed free of the reins/holding you and me". The jangling guitars and chorus have a '60s sound that reminds me of The Byrds, The Doors, The Mamas and The Papas...something that I can't quite pin down but brings a warm sense of nostalgia. "Canvas of Silence" explores mysteries of life and death and boasts a stronger progressive metal sound. I like the mood changes in this one. "Veil" is a fever dream awash in Indian-inflected melodies, nice bass work, and evocative vocals simmering in quiet desperation. "Time Turns Around" is a beautiful little song. The guitar carries a pretty Indian-inflected melody. The vocal is achingly lovely. Struggle yields to resignation and peace here. This is the tidal pool of the album and my favorite track. The waves roar back with"Fragments," a return to aggressive metal. The loss of a dear loved one is raw here, and the singer questions if the gains of moving beyond this life outweigh the losses experienced by those left behind. Despite some minor quibbles - e.g. unnessary (to me) fade-out endings on some songs, the rough middle section in "Time Turns Around" - I believe this is one of the best EPs I've heard. I like how the band assimilates metal, pop, folk, and even a little jazz to create a wonderfully balanced sound. The lyrics are generally thoughtful, picturesque, and sometimes poignant; they hold up very well in the personal songs (e.g. "Time Turns Around" and "Fragments"), but they sometimes seem a bit forced elsewhere. Although not a true masterpiece, it's close - maybe a 4.5/5. I'll round up to 5, because this EP is a balm to me, more so than many "masterpieces" I've heard. Rainburn has replaced its bassist, Shishir Gupta, and the guitarist Toshimoa Jamir with Allan Julius Fernandes and Vineet Gogoi, respectively, and I wonder how this change will affect the band's sound. I can only hope that Rainburn continues to explore life's weighty mysteries while marrying metal, Indian folk music, and pop as successfully as they did here.